Nominate your favorite referee(s) in the Week of the Referee at AXIWI. With this they will stand a chance of winning an AXIWI communication kit for 2 referees! 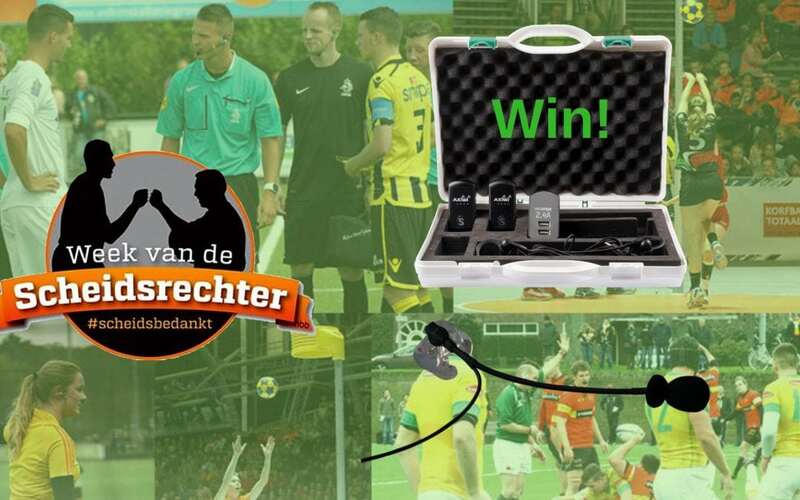 Referees who already working with a communication system (or AXIWI) can win a custom made headset! In Holland there is a special week for all referees called: Week of the Referee. In this week, referees will be honoured by everyone and every organisation who are involved with sports. This year it will take place from 6 – 14 October. AXIWI won’t let this go by unnoticed and that’s why the ‘Week of the Referee’ action on the AXIWI Instagram page is organized; also for referees from outside the Netherlands; so everyone can participate! We will give away a referee kit and a custom made headset. On this webpage you can read all about the AXIWI Giveaway (link).